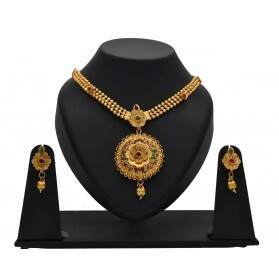 Appealing antique gold plated Matte Polish perfect finishing multi-colour stone necklace with matching Jumka earrings. 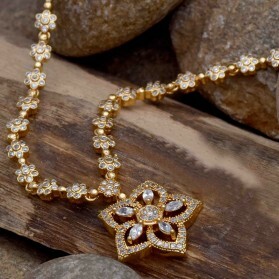 It will definitely be a treasured inclusion in every woman's traditional jewellery collection. Team it with any ethnic wear for Party, Weddings or Engagement functions. Stunning Ruby Emerald Pearl Hanging Necklace Set for women. This classic bridal necklace set is designed with Pearl hangings and three-layer semi-precious Ruby emerald stones. 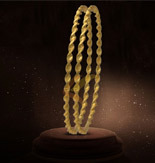 It has matching earrings with pearl hangings. 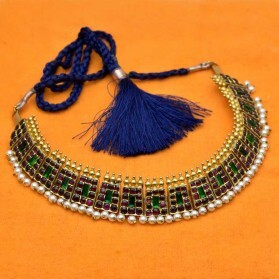 This chocker set is perfect with any ethnic wear and it can be worn on wedding functions or party. Antique Paisley Peacock Design Broad Imitation Ruby Choker Set. 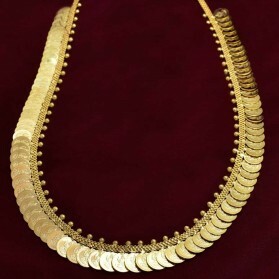 A perfect south Indian antique fashion necklace with paisley Peacock motifs and synthetic ruby stones forming rows. Paired with simple peacock design ear studs. Apt for casual and daily wear. Antique Floral Peacock Necklace and Jhumkas with pearl hangings. 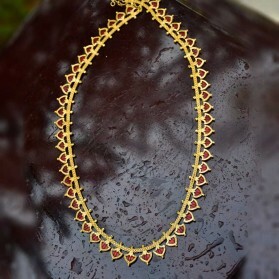 Gorgeous South Indian necklace with two rows of delightfully carved flowers and Peacock motifs adorned with green and red stones. Paired with matching Peacock jhumka earrings. Apt for casual and Party wear.